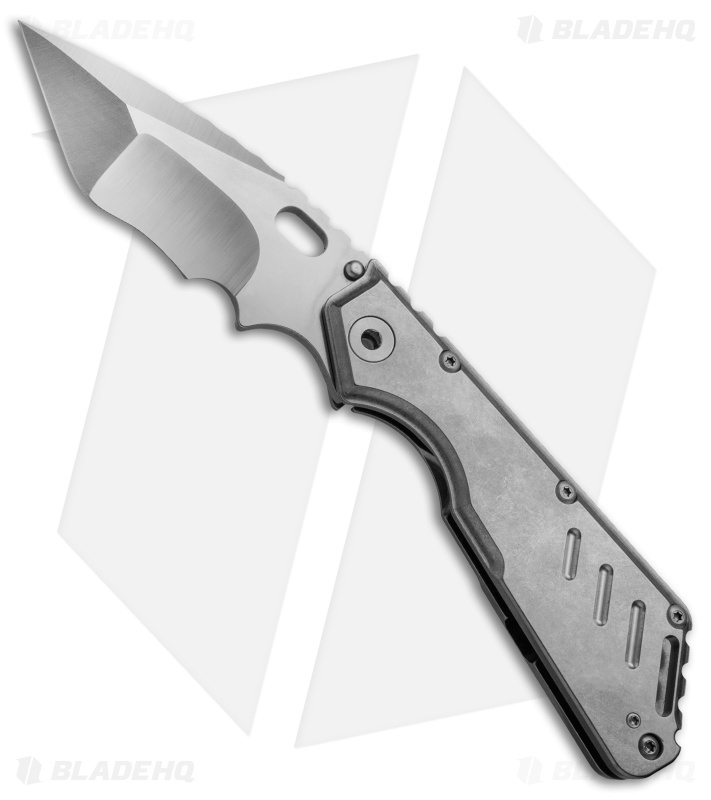 This Mick Strider Custom XL V3 features a tumbled titanium handle and a two-tone satin/stonewash finished blade. 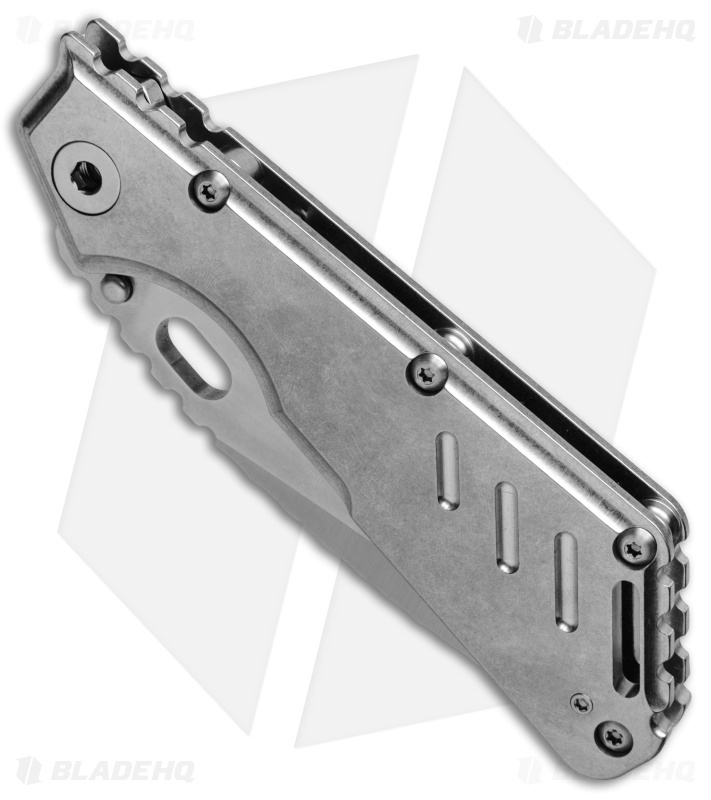 The stainless steel tanto blade has a dramatic nightmare grind with stonewash finished flats and satin grinds. "M. Strider" is marked on the blade choil. 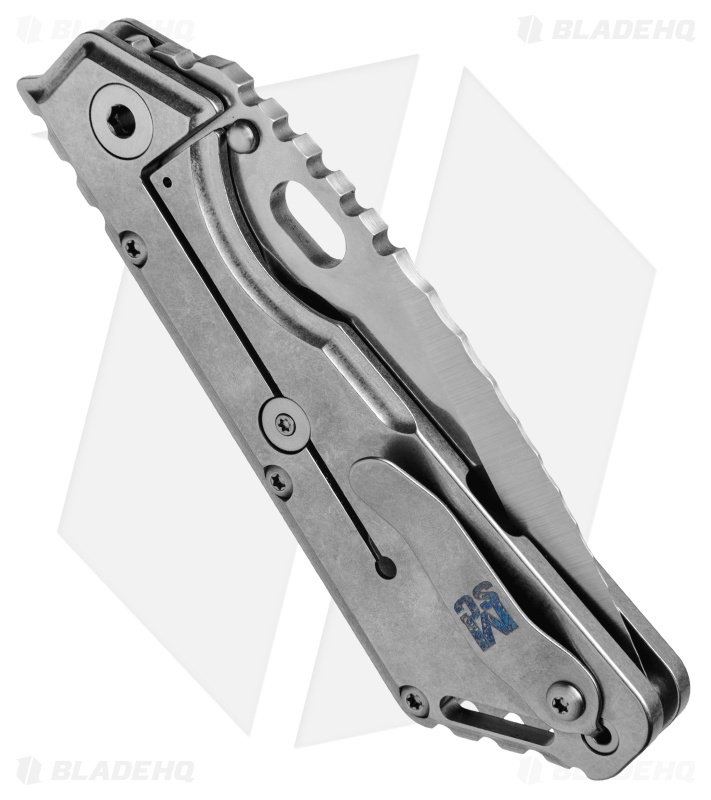 Item includes a tip-up titanium pocket clip and a nylon carry pouch with an MSC patch. Pictured above is the actual knife for sale.